Why Did Comey Announce New FBI Emails Investigation Now? Is James Comey an Irresponsible, Partisan Hack? Or Was He Just Doing His Job? On Friday, James Comey announced that the FBI had discovered new emails that are pertinent to the bureau’s investigation of Hillary Clinton’s conduct as secretary of State, but which are not, necessarily, significant, in the context of that investigation. Which is to say, 11 days before America counts its ballots — and many days after early voting in the 2016 election began — the director of the FBI has publicly suggested that he has evidence which may implicate the Democratic nominee in some sort of crime, but also, ya know, maybe not at all. Oh, and he “cannot predict how long it will take” for him to figure that out, one way or the other. But early reports suggest that there won’t be an answer until after Election Day. And that the emails were not sent from a device owned by Clinton, but rather, from the sexting obsessed, estranged husband of one of her top aides. Also, Comey is a Republican. Add these ingredients together and you have a recipe for red-hot liberal outrage. And, in fact, Comey’s announcement was so bizarre, it even outraged members of the political party which ostensibly stands to benefit from it. I don't trust this FBI thing. It feels like an attempt to distract from something larger and then at the last moment declare it nothing. Why is FBI doing this just 11 days before the election? The most likely answer to Cornyn’s question, as of this writing, appears to be this: The FBI’s separate investigation into Anthony Weiner’s sexts with an underaged girl yielded new emails involving his wife, Clinton aide Huma Abedin, that had some potential relevance to the FBI’s prior investigation of Clinton. The truth is Comey didn’t have a choice. Because the new information followed his sworn testimony about the case, Comey was obligated by Department of Justice rules to keep the relevant committees apprised. Under oath Comey had stated that the bureau had completed its review. 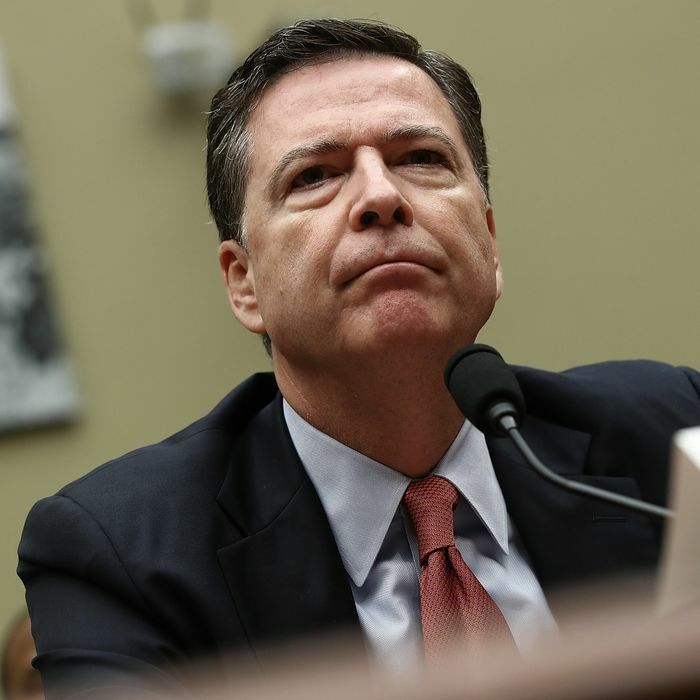 Once he learned that there were new emails that required examination, Comey had to notify Congress that he had to amend his testimony because it was no longer true. Comey’s letter to congressional committee chairs doesn’t say his agents have discovered new witnesses or documents suggesting a criminal act occurred. Rather, he only suggests that evidence that has not yet been examined needs to be reviewed because it is relevant to the case. Had Comey sat on this information until after the election, it could have undermined his credibility and that of his agency (even more than revealing the information now has). Or so goes the argument for the defense. If Comey’s timing is justifiable, what about the wording of his update? Unlike Newsweek, the FBI director did not take pains to spell out what his announcement did and did not constitute. Considering the lengths Comey went to when explaining his decision not to indict Clinton last summer — publicly declaring that his decision not to bring criminal charges did not mean that the presidential candidate hadn’t been “extremely careless” in handling classified information — it does seem like he could have written a clearer, more general public-friendly version of his notification to Congress. Is Comey a Partisan Hack? Or Was He Just Doing His Job?